In an effort to better alert the public of unlawful ingredients in dietary supplements, the FDA has created the Dietary Supplement Ingredient Advisory List, a new reference tool for consumers and manufacturers. EMD Serono announced that the Food and Drug Administration (FDA) has approved Mavenclad (cladribine) tablets for the treatment of adults with relapsing-remitting multiple sclerosis (RRMS) and active secondary progressive multiple sclerosis (SPMS). The FDA has approved siponimod for the treatment of relapsing forms of multiple sclerosis, to include clinically isolated syndrome, relapsing-remitting disease, and active secondary progressive disease, in adults. A recent study published in the New England Journal of Medicine assessed the risk of new-onset psychosis among adolescents and young adults with attention deficit hyperactivity disorder (ADHD) initiated on various stimulant medications. Alzheimer disease and dementia trials discontinued following disappointing results. 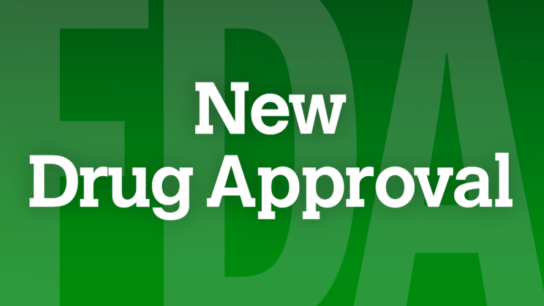 The supplemental New Drug Application (sNDA) for Emgality (galcanezumab-gnlm; Lilly) has been granted Priority Review by the Food and Drug Administration (FDA) for the preventive treatment of episodic cluster headache in adults. Inbrija, the first inhaled levodopa, has been made available by Acorda Therapeutics for the intermittent treatment of OFF episodes in patients with Parkinson disease treated with carbidopa/levodopa. The FDA has accepted for review the New Drug Application for a novel oral fumarate candidate, diroximel fumarate, for the treatment of relapsing forms of multiple sclerosis. The FDA has accepted for Priority Review the supplemental Biologics License Application for Soliris for use in patients with neuromyelitis optica spectrum disorder. Over 1400 clinical trials and research studies were reviewed by a panel of 13 experts to develop the new guideline.